As some of you know, last week I posted about this blog being for sale. I'm pleased to announce today that we have a new owner... Lucy Galgano. I know Lucy will do a great job with this and I am positively sure that Bette would be as equally pleased as I am to know that the blog we created together has gone into such capable hands. Please leave a comment or two for Lucy and follow her here if you haven’t already. She’s already posted something new this morning. Thank you so much for taking this over, Lucy. I know you'll do a great job. Are you looking for an easy Valentine idea for your sweetie, your kids classmates, teacher, mail carrier or anyone else you would like to surprise? 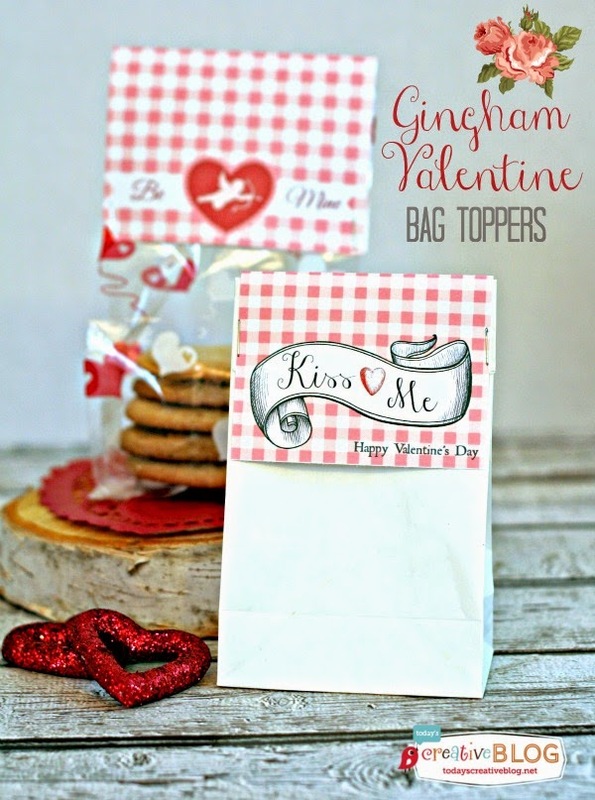 Kim at Today's Creative Blog has shared with us her free downloadable printable for Valentine Bag Toppers. These are adorable and so easy to do. Visit Kim at Today's Creative Blog by clicking on the graphic above to get your download. While you are there, check out her blog. She has so many wonderful decorating ideas, tutorials, DIY, recipes and the list goes on. To see all that Kim has to offer, visit her by clicking on the graphic below. You can also follow her on Facebook, Pinterest, Twitter as well as other social media.